We are professionals in providing in the field of marketing, communication, education and creative services within healthcare, pharmacy, pharmaceutical industry and innovation. Speed, efficiency, simplicity and complexity are the attributes we offer to our clients by implementation of our services. We are a company whose professionalism is a measure of all its activities. We respect the individuality of our clients. Our aim is to be the first and unique company within the activities we do. We appreciate the work of others. We enjoy the success of our clients. Berlina improves and implements services in the field of: marketing, communication, education and creativity with the focus on healthcare, pharmacy, pharmaceutical industry and innovation segment. The ambition of Berlina company is to gain the leadership in the evaluation of provided services as well as in the satisfaction of our clients. OUR VISION AND MISSION DEFINE WHAT WE WANT TO GAIN. THEY DEFINE OUR AMBITIONS, COMMON GOALS AND THEY HELP TO BUILD THE CULTURE OF THE COMPANY. We care about the quality of services provided. We are a certified company in terms of privacy protection. We fulfil the parameters in accordance with the results of due diligence. We care about the result. The quality and professionalism of provided services is our priority. Client satisfaction is a crucial criterion for our work. We try to bring added value to everything we do. We work systematically. When designing a project concept, we carefully consider each step we take and recommend to the client. We show our clients respect and we are open to them. We work quickly and easily at each stage within the process of individual activities implementation. We do it efficiently and comprehensively. DO YOU KNOW WHAT BERLINA IS?  Berlina was a luxury travel carriage coming from 18th century. It was named after the city of Berlin. It was the first carriage with closed body with two seats opposite each other. The person traveling in it was guaranteed comfort and was able to get to the places where it was too complicated to walk. Nowadays is Berlina considered to be one of the most luxurious means of transport. "The knowledge of the past will make the presence clear and it is the presence that can be helpful in what the future will be." This idea inspired us in finding the name for our company - Berlina.